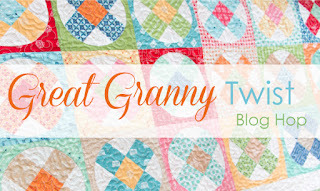 Welcome to the Great Granny Twist blog hop by the Fat Quarter Shop and Lori Holt. My "twisted great granny" (Ha!) 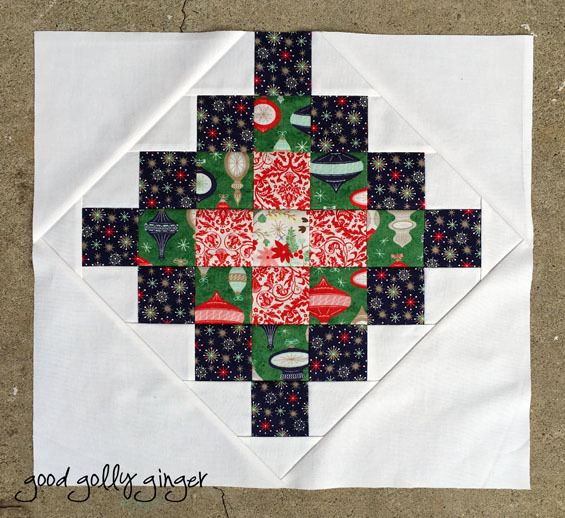 ornament block uses two patterns from Lori Holt's book, Great Granny Squared. I made three great granny blocks (directions on page 4 Lori's book). I followed all of the directions, except I only assembled three (instead of four) Fabric L rectangles to the great granny strip unit. There will be no Fabric L rectangle on the top. Continue to trim the block per Lori's directions. In my version, however, the top is missing. See image below. 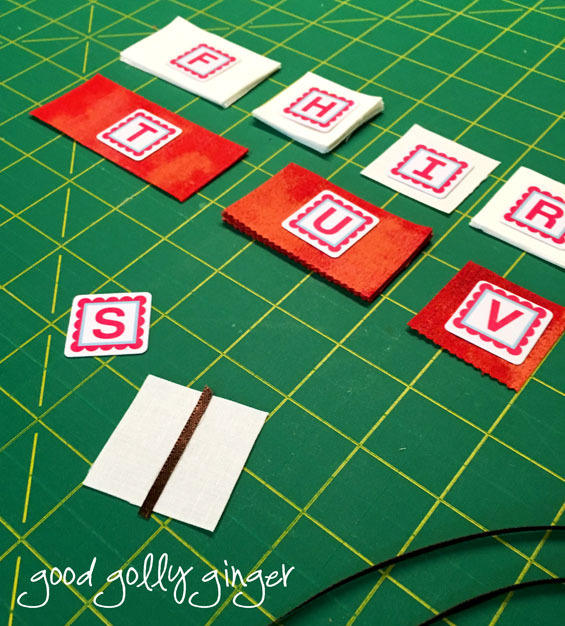 Second, to make an ornament block, you will need to add triangles to the corners. Reference the image above. Set the great granny block on point. Cut one 7-7/8" square. Cut this square on the diagonal to make two triangles. 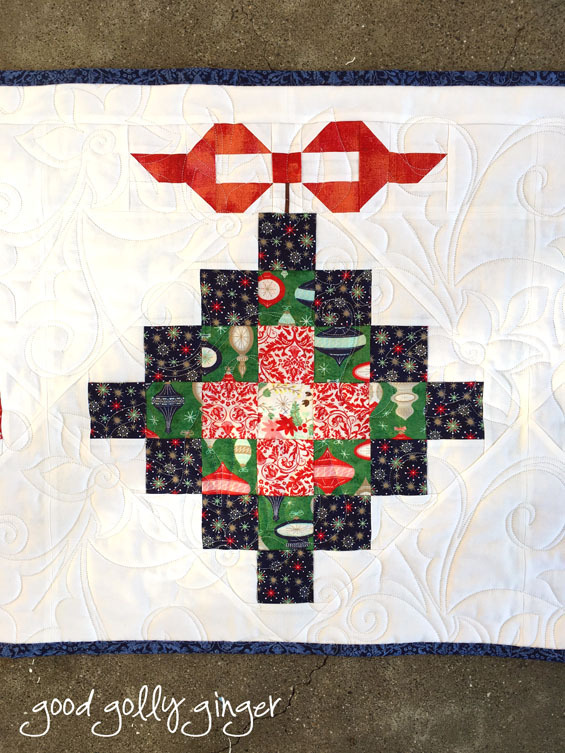 Attach each triangle to the top right and left corners of the ornament block. Cut another square, 9-3/8". Cut this square on the diagonal to make two additional triangles. 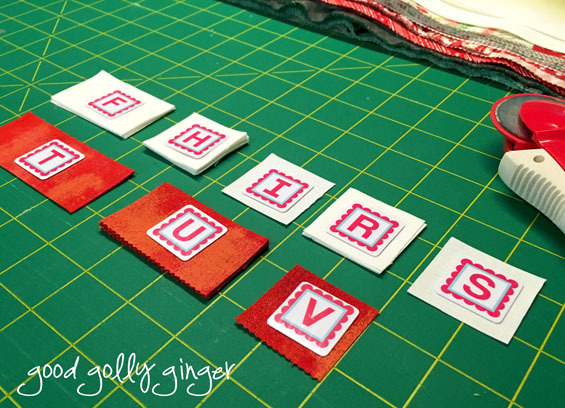 Attach each triangle to the bottom right and left corners of the ornament block. The base of the ornament will measure 16" by 17-1/2". The ornament base is finished, and next it is time to make the bow. Directions for making the bow are found on page 10 of Lori's book. Cut the pieces as shown in the picture above. You will need to make the following modifications: cut six of Fabric F and cut only six of Fabric H.
On Fabric S, add a piece of ribbon so that the ornament dangles from the bow. I used a thin strip of fusible web to attach the ribbon to the fabric. Some hand-stitching here would also look nice if you prefer that. Follow Lori's bow directions. Add a 3-1/2" square to each end of the bow. The bow will measure 3-1/2" by 17-1/2". Finally, assemble the ornament base to the bow. If you are making one ornament, then add a 2" strip across the top. The finished ornament block will measure 17-1/2" by 20". If you are making a table runner like me, then assemble the ornaments. Add a 2" strip across the top of the three ornaments. The finished table runner will measure 20" by 51". I used 25th and Pine by Moda jelly roll for this project. 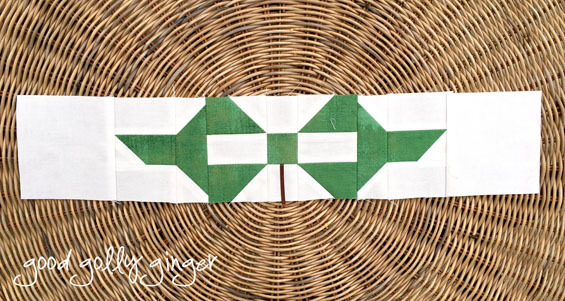 You will also need 3/4 yard of background fabric for the table runner. I used Kona Cotton in Snow. 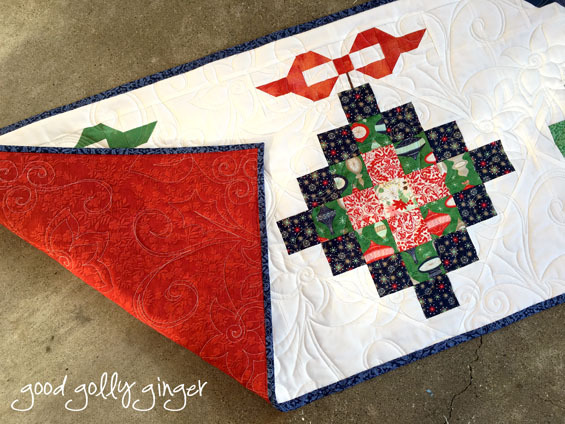 I love the Christmas spray quilting pattern I found. It matches perfectly. I also used Isacord thread in linen. Thank you so much for visiting my blog on this awesome blog hop. 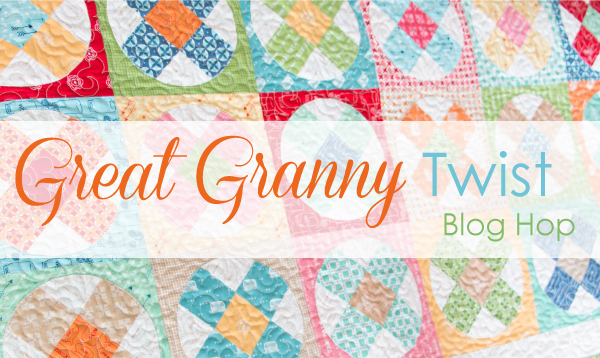 I hope you enjoyed my "twisted great granny" (Ha!) ornament block. The Fat Quarter Shop has made a twisted great granny squared video that can be found here. This is so pretty! I'd love to make it smaller and make a mug rug! Beautiful! Lovely! I like all the negative space on your twist! How clever! 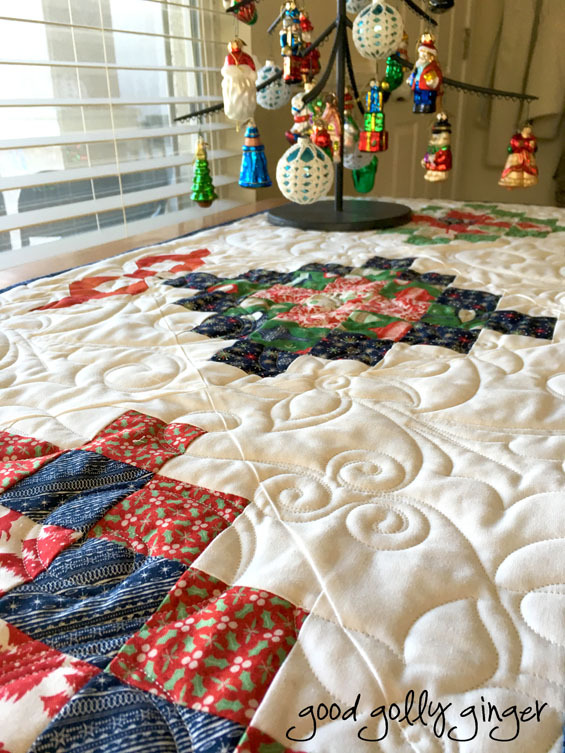 Love your runner and the quilting is beautiful as well. This is Beautiful!! 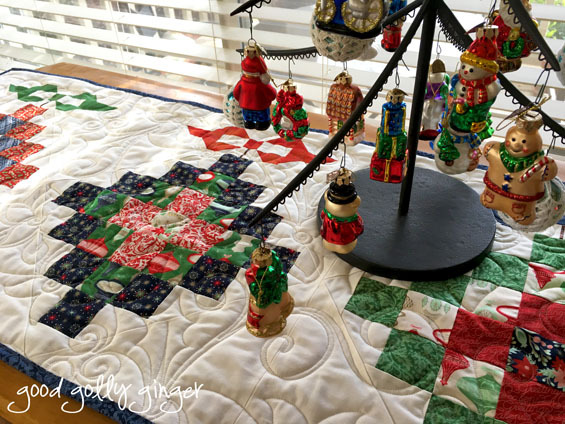 Love the Great Granny Ornament Table Runner! Oh, what a clever twist! I LOVE your runner - fantastically lovely! Sooo pretty!! Love the colors and your post is really awesome. Love the ornaments - so clever! i am SOOO in love witb this so clever!!! merry christmas! What a unique idea! It's fabulous! 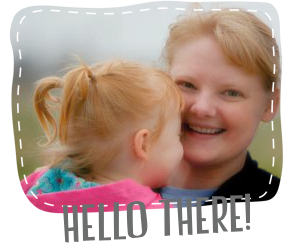 I think I need to look around your blog a bit more! I love the idea of making it an ornament. Love the bow. thanks. VERY cute! Can't wait to try it.